NeelKamal Steels is a leading stockholder and supplier of pipe fittings with the feature of compression which is also known as Stainless Steel 45 Degree Elbow Ferrule Fittings in 304 and 316 grades. 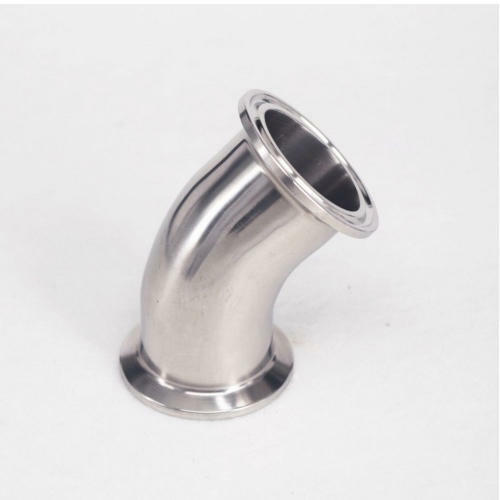 According to the demand of the customer we are capable of supplying Stainless Steel 45 Degree Elbow Ferrule Fittings in different grades such as nickel alloys, brass, carbon steel, copper, etc. We supply wide ranges single and double Stainless Steel 45 Degree Elbow Ferrule Fittings with different configurations and sizes. In the time of installation the double ferrule tube fittings do not require metal flaring. With the help of various applications they are just compressed on tubes to make it sturdy and leak proof connection to get rid of leakage in power and instrumentation applications. These types of Stainless Steel 45 Degree Elbow Ferrule Fittings are used mainly in pneumatic and hydraulic applications in various industries such as petrochemicals, oil and gas, fertilizers and power generations and natural gas. All our products are made up of premium quality raw materials which makes us the top company in this field. Annual Turnover2008-09 Rs. 50 Lakh - 1 Crore Approx. 2009-10 Rs. 50 Lakh - 1 Crore Approx. With our experience of 30 years, we have come to be known in the market as a reliable Manufacturer, Importer, Exporter, Supplier of Steel Pipes & Tubes, Steel Pipe Fittings, Flanges & Fasteners. Procured from reliable vendors after an in-depth analysis of their market standing and reputation, our range is highly acknowledged for its efficiency and long service life. Due to these features, we are able to meet the demands of chemical, fertilizer, cement, shipbuilding, petrochemical and allied industry applications. Owing to our highly diligent team of professionals, we have achieved a prominent position in the market. These professionals are able to procure the best of products in the market and offer the same. They conduct research to allocate the most credible vendors in the industry for the respective collection of products. All the range we offer is tested as per the norms of Government recognized laboratories & with IBR Test Certificate. Clients can also choose for third party inspection from renowned organizations like PDIL, BACOUNCIL, BV, FEDO, EIL, TCE, MECON, UDHE, IBR, DNV, and BUREAU VERTIAS, to name a few. Tested for performance, durability and quality at our unit before the delivery, we are able to satisfy the needs of the clients.